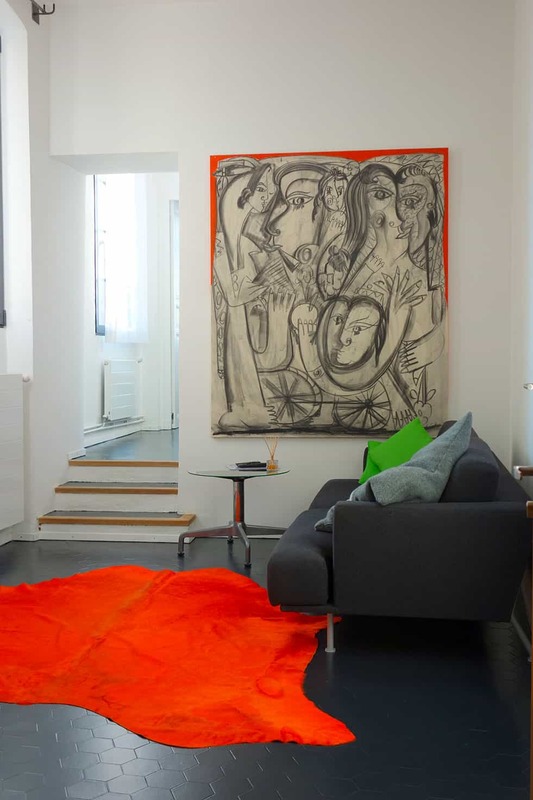 Metafort is a designer Bed & Breakfast situated between Luberon and Mont-Ventoux in Vaucluse. This magical place is nested in a “Bastide” from the 17th century in the heart of Provence, 30 minutes away from Gordes. 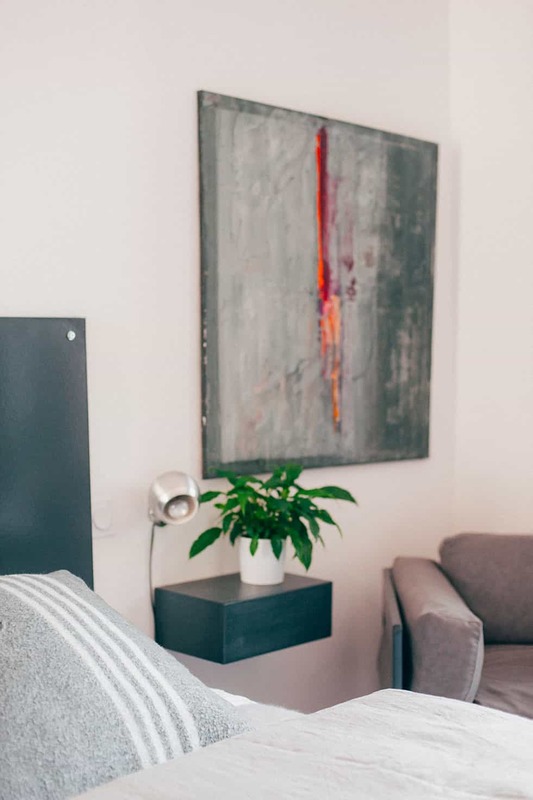 The host will welcome you in an authentic and spectacular way, a place for rest and relaxation where you can let-go in a cocoon of simplicity. The 5 designer Bedrooms and the Flat each have a private Jacuzzi, as a prelude of a relaxing stay. 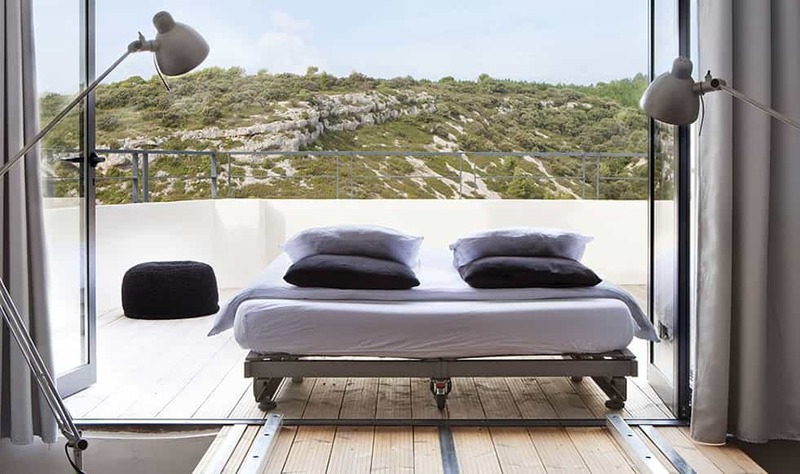 The Palme d’Or goes without a doubt to the “Under the stars” Bedroom with its bed that can slide onto the terrace… a special place with a wonderful view over the Valley of Vaucluse and the infinity pool! Our spacious bedrooms are decorated with a contemporary feel and provide our guests with all the comfort they need (TV, free Wi-Fi, bathroom, Jacuzzi, etc…). They all feature a 2-person Jacuzzi, just what you need for a relaxing evening after having roamed the paths of Provence in the sunshine. The bedrooms on the second and third floor have air conditioning. Would it be a real Bed & Breakfast without the enjoyment of food? Gastronomy is our second passion. 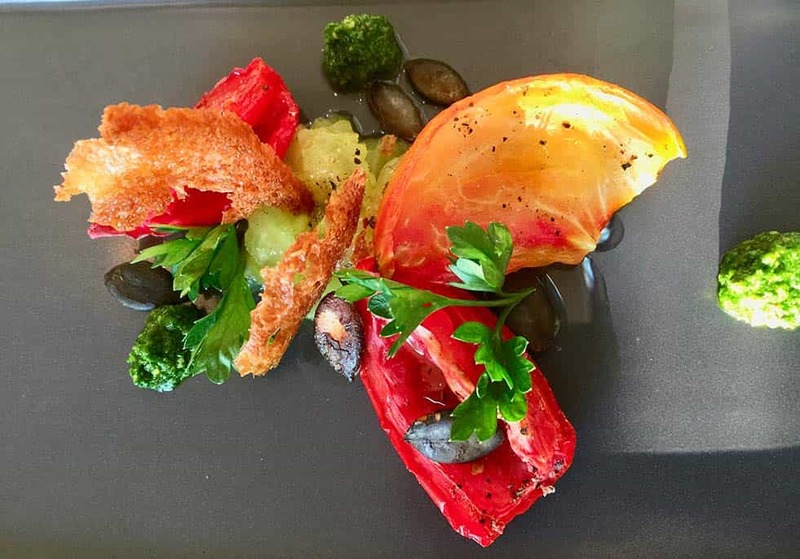 On Saturday evenings, the owner Isa, loves to offer to her guests an authentic, high quality meal, where everything is homemade, rich with flavours and colours and accompanied by the best wines. Each dish is exclusively prepared with fresh and local organic products, coming from the markets of Provence and Luberon. The kitchen, overlooking the terrace and the pool, is available for use by our guests who would like to cook their meals themselves. 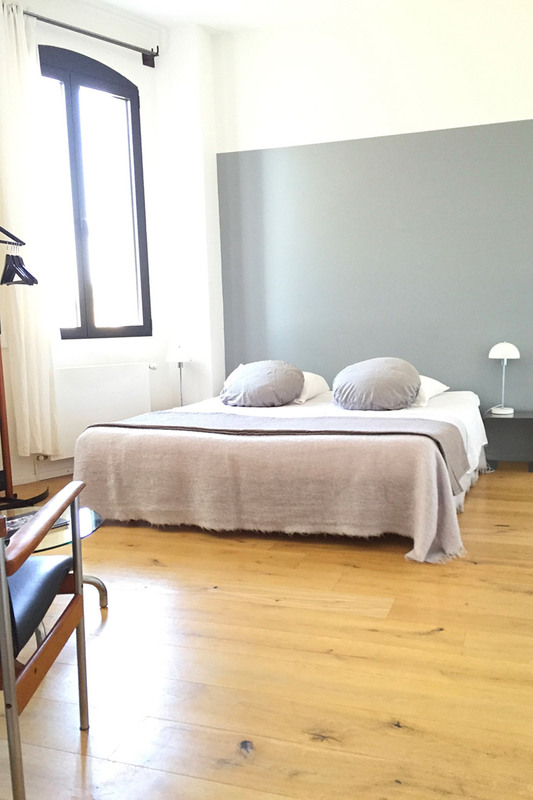 Our Bed & Breakfast has been built in an old « Bastide » building renovated in 2011. The panoramic garden offers an astonishing view on the Gorges de la Nesque and basks in the lovely smell of Provence. 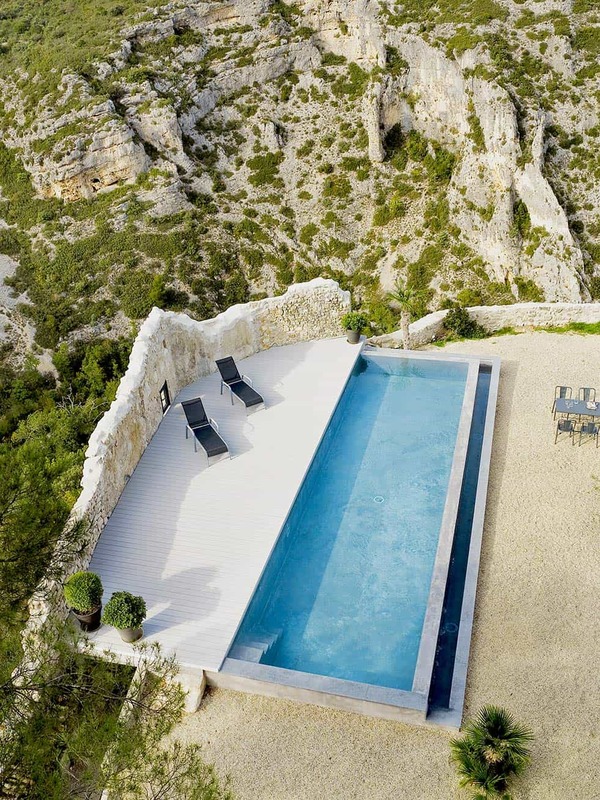 It features a great infinity pool, a solarium terrace protected by an old wall and several lovely areas where you may relax. This haven of peace will delight our guests looking for authenticity and calm. If the weather allows, and when the pool is lit at night, it offers a spectacular panoramic view during the evening meal. The large designer kitchen opens onto the pool and the garden is a cosy and light area, with a comfortable lounge space for the never-ending evenings. Because your stay in our home should also be about leisure and well-being, we can recommend to you many walks that start from the house. Or how about renting a bike and discover the Luberon and the Ventoux? 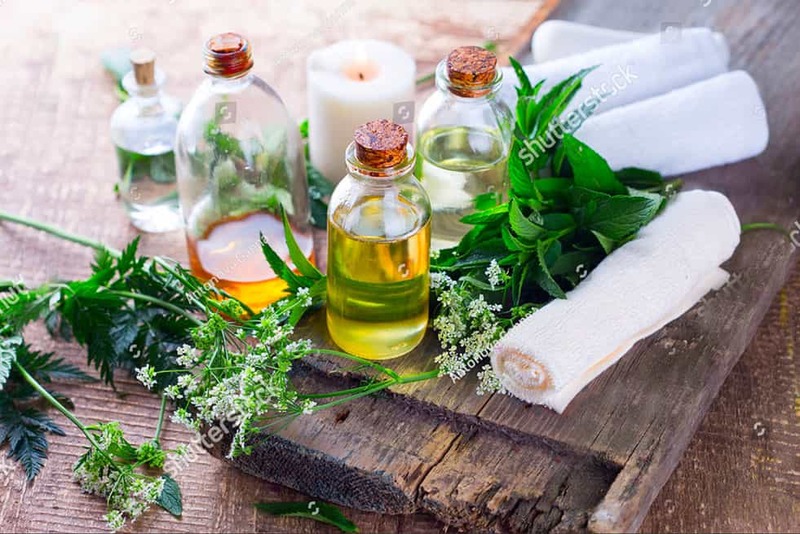 We also offer hot stones massages and beauty treatments. Our Boutique Bed and Breakfast is a starting point for many excursions and visits. 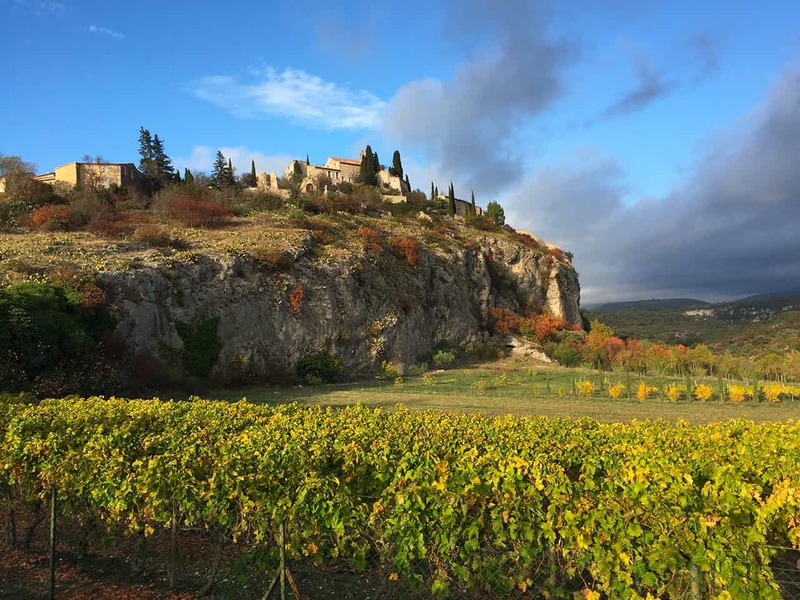 From here you can easily reach and discover the most beautiful tourist sites of Provence (Apt, Avignon, Roussillon, Aix-en-Provence, Gordes, Cavaillon, Isle-sur-la-Sorgue, Gorges du Verdon…), but also lots more lesser known quaint villages. During your stay, your host will be your exclusive guide and will be delighted to reveal to you the secrets of Luberon: ochres of Mormoiron, Cucuron, Lacoste with its view over the valley of Bonnieux and the Mont Ventoux, Luberon Cedar forest…there are many must-visit magical places! 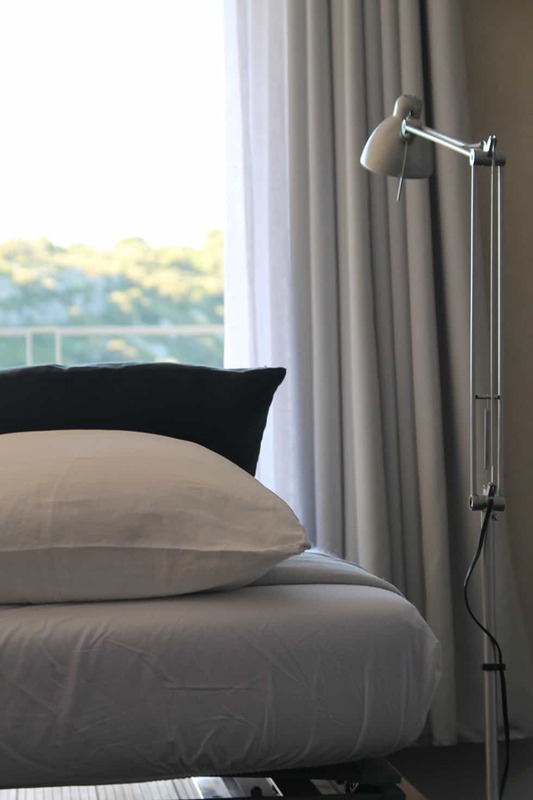 Our B&B is located in the middle of the Vaucluse between the Luberon and the Mont Ventoux, and more precisely in Méthamis, one of the most beautiful villages of Provence. It is the starting point for several excursions and visits. You will be able to discover from your doorstep the most beautiful tourist sites of Provence (Apt, Avignon, Roussillon, Aix-en-Provence, Isle-sur-la-Sorgue, les gorges du Verdon…), but also lots of authentic villages. 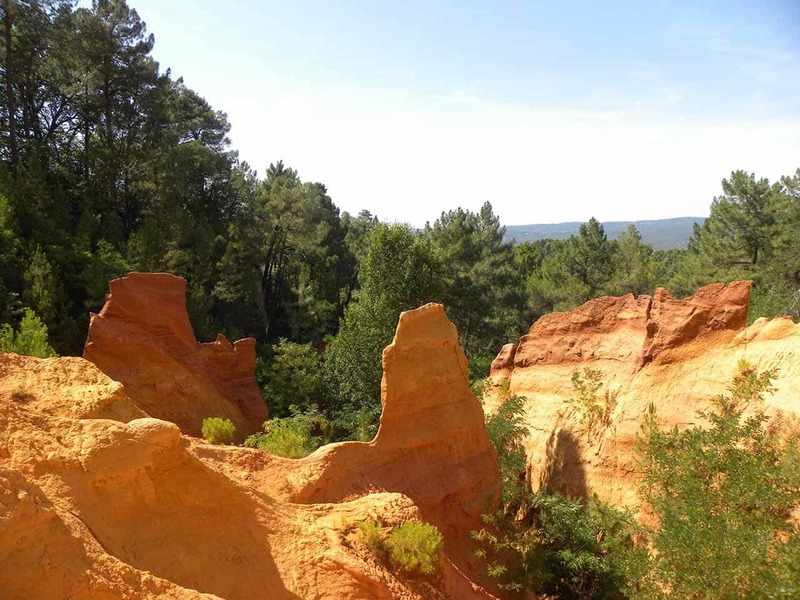 During your stay, your host will be your guide and will be delighted to reveal to you the secret of Provence: ochres of Mormoiron, Cucuron, Lacoste and its view over the valley of Bonnieux and the Mont Ventoux, Luberon Cedar forest… So many magical places you must visit. You will discover Provence, from the vineyards to the cherry tree fields of the Gorges de la Nesque.